Geezer Skier: When is Data, Data? The other day I was discussing the poverty situation in the United States with a friend and I quoted some statistics from a newspaper article showing that over the past 20 or so years the wealth in the United States has been more and more distributed to the wealthy. In fact we are at a point where there is the largest disparity in wealth distribution in history. According to the article we are becoming a third world like nation of haves and have-nots. My friend challenged this claim by saying that he was suspicious of the data. Perhaps he has a point. However, I remember a book written by Bartlett and Steele who were reporters with the Philadelphia Enquirer about 20 years ago where through tax return data they demonstrated the migration of wealth from the lower wage earners to the wealthy. I would expect others could do the same thing. When we get into policy arguments or political arguments we often simply pick the data that supports our point of view. Wouldn't it be useful if we could agree on the validity of a set of data and then argue policy from that point on? Today I heard the Toxic Assets Relief Program is likely to recover all but 50 billion of the bailout dollars. Although 700 Billion was allocated only about 375 billion was distributed and now only 160 Billion is outstanding. Some even say there is a possibility that the government might make money on this deal. However, on the street, the view is there was a 700 billion dollar give away. I get discouraged with the mentality that says, "Don't confuse me with the data (facts), my mind is made up". I would prefer to argue the merits of TARP from this data regardless of ones political persuasion. I served on the Moravia Central School Board of Education from 2000 to 2003. We had our share of sensitive issues to deal with and the accompanying controversies. 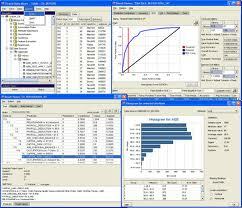 In some cases we were able to resolve the issues with a focus on the data. It was my mantra when things got hot and heavy. I would try to remind my colleagues, parents and community to look first at the data. After I left the Board I am pleased to say my advice was remembered by many of my fellow board members. Probably that legacy has died out by 2011 but I still think the approach is fundamental. I guess I still look for the better day when our decision makers will look at the data and commit to finding the truth rather than twisting the information to their particular advantage. Will they ever focus on really serving the people who elected them?